Will Maguire began his journey while at school building a small shed and with the support of family to acquire some tools he begin his journey with hot iron. He then went on to completed a four year dual trade as a blacksmith and boilermaker at Industrial blacksmith’s Forgemasters Australia in Kurri Kurri NSW. Soon after completion he flew to Europe to work with renown contemporary blacksmiths in England, Russia and Japan. Working on large Architectural commissions, heritage restoration and contemporary sculpture. During this time he attending many international blacksmithing events in Austria, Ukraine, Italy, England, Ireland and France. In 2009 Will returned to Australia to set up his own workshop in the Hunter Valley NSW where he designs and makes bespoke items and collaborates with other artists and designers to produce individual works of art. He studied Botanical Illustration at the University of Newcastle and continues to learn and travel, most recently being invited as a Master Blacksmith to design and lead the making of a panel for a 12 tonne WW1 Peace Monument in Ypres Belgium in 2016. 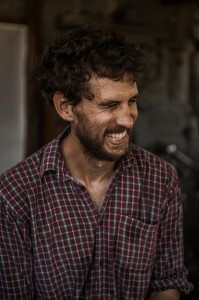 Will has exhibited at Sculpture by the Sea Bondi in 2014, completed a 5 tonne Steelworkers memorial in Newcastle, public art in Tarcutta and North Wagga in NSW and Canberra ACT as well as many private commissions.